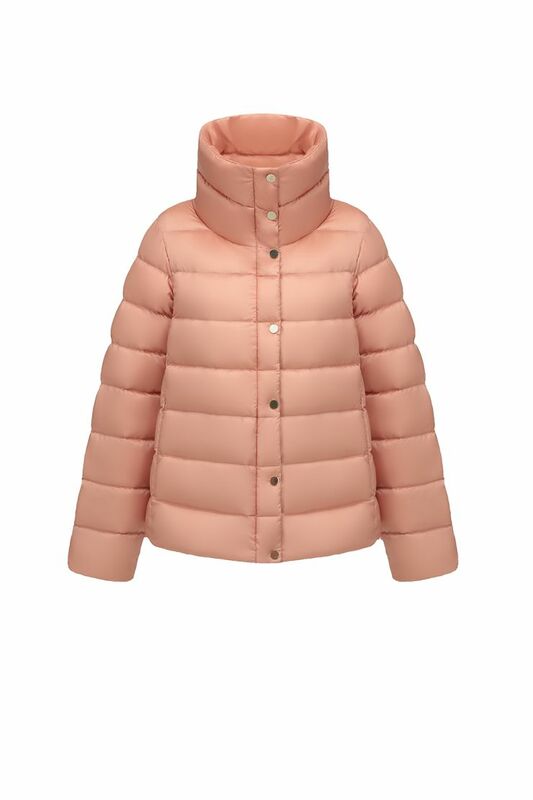 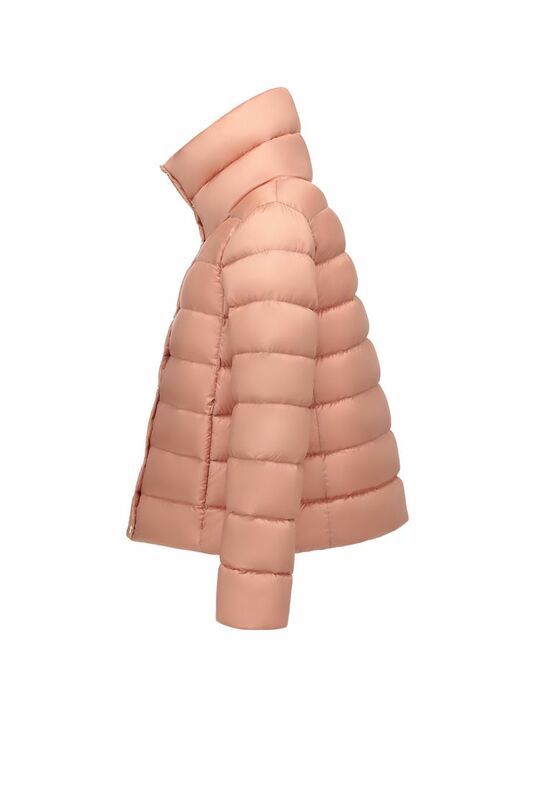 Hetregó Melody A-line pink cape is a versatile piece of outerwear that looks equally great dressed up or down. 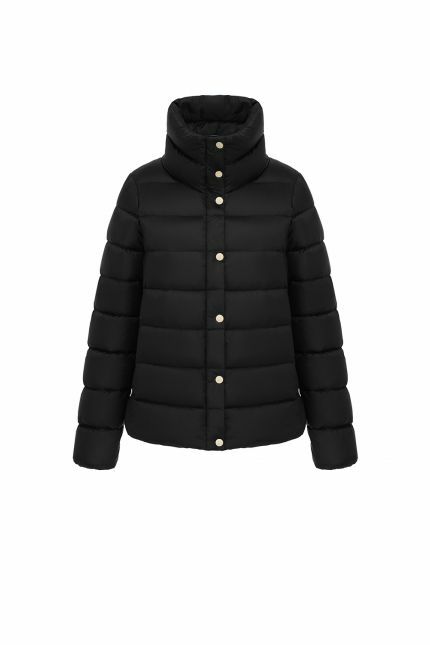 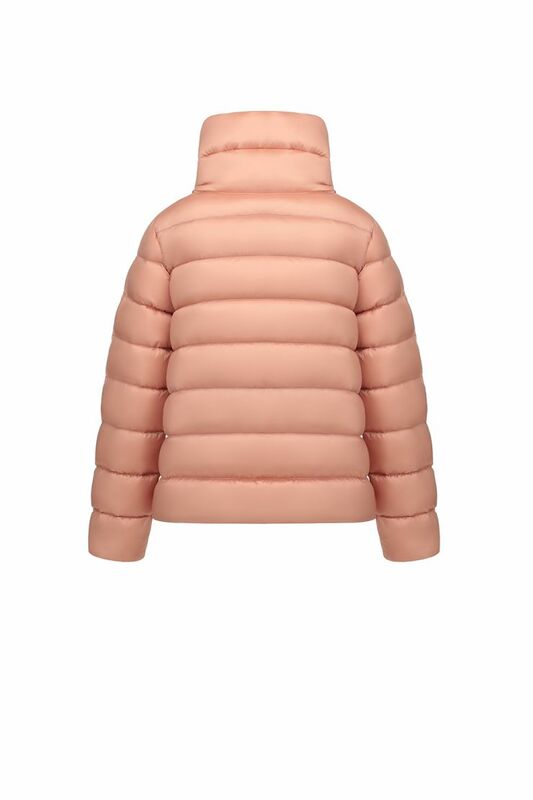 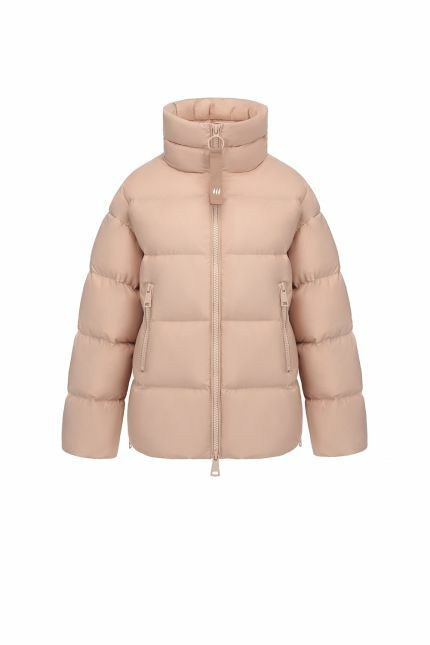 Made in nylon and padded in goose down, this style features a double central fastening with gold press-stud buttons and zip. Store your valuables easily and securely on the two side zipper welt pockets. 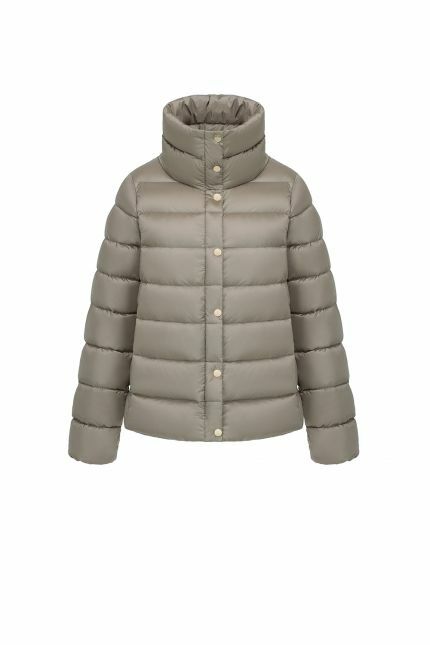 This lightweight down A-line coat is fitted at the shoulders and gradually widens towards the hips, giving a streamlined and quite slim look.